I’m reading a book in which the main protagonist is a High Court Judge. The phrase, ‘due process’ struck me. ‘Process’ is one of those words writers struggle to find an alternative for. The other day, on Facebook, I called it a cliché before reminding myself that most clichés are true. I’m currently line-editing my book, Ghostbird, a part of the process I’ve never before encountered. I knew about editing and proofreading (and the crucial difference between the two.) I knew what copy-editing was. And I understood the need to be edited. What I had no previous experience of was a professionally line-edited manuscript. The reality of it took my breath away. I opened the document and was hit in the face by a waterfall of highlighted, struck-through, underlined wordage, accompanied by ‘comments’ in assertive boxes. One thing was clear. I wasn’t going to be allowed to get away with anything. Not if it wasn’t in the best interests of my story. And breathe… Because that’s what you have to do. What I decided I had to do. Take a great big breath and knuckle down. In some ways, it’s the hardest thing I’ve ever done. It’s one thing to choose to kill your darlings – it’s between me and them and I’m quite good at it now. I even have a file called ‘Dead Darlings.’ (You never know…) It’s another thing entirely to see them ‘offed’ by a third party! All of that apart, it’s definitely the most rewarding part of the process. And like all the other steps, it’s the first time and needs to be cherished. Several published writers have urged me to savour each step of the process because there will never be a repeat of those magical ‘first’ moments. Getting the offer of publication and accepting it. Taking delivery of a contract, creating a cover and the myriad other ‘firsts’ involved in one’s first book. And the line edit is where the magic happens. I’m fortunate – my editor is gifted. She is wiser than Yoda (I’m not kidding) and she knows stuff. With her keen eye and gentle insistence, my little book emerges – a butterfly from her chrysalis. This week I have been interviewed by Christoph Fischer as part of his Welsh Wednesdays strand. Thank you, Christoph! 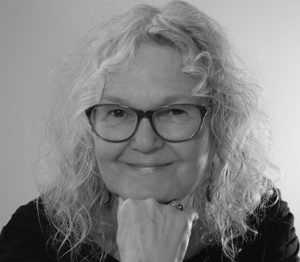 Today I have the pleasure of introducing you to Carol Lovekin. Carol was born in Warwickshire, educated at the equivalent of ‘St Trinians’ and after that picked it up as she went along. She has worked in retail, nursing, as a freelance journalist, a counsellor and in several other part-time occupations. She is retired and now works full-time as a writer. Welcome Carol. First up, please tell us about your connection to Wales. Wales has been my adopted home since 1979. My mother came from Northern Ireland and my father was Anglo-Irish. I describe myself as having Irish blood and a Welsh heart. 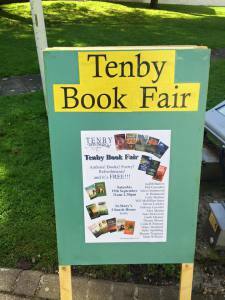 You and I met recently, Christoph, at Tenby Book Fair when the splendid Judith Barrow introduced us. Oh yes, I remember that day very fondly. 🙂 Please tell us a little about yourself as writer.